These legends all got together for an unplanned jam session by chance on December 4, 1956 at Sun Record Studios in Memphis, Tennessee. That day Carl Perkins came by the studio to cut some new songs. 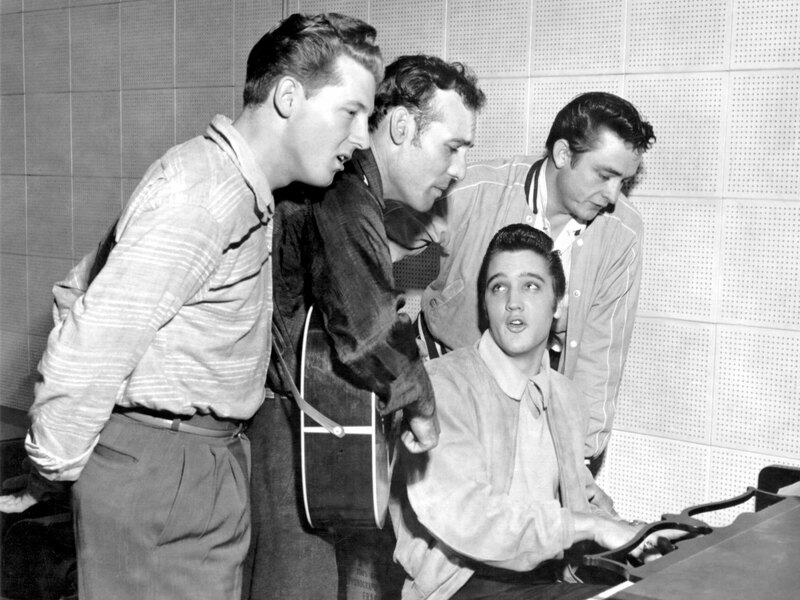 Sam Philips (owner of Sun Records) asked his newest signed act to his label, Jerry Lee Lewis to come by the studios to play the piano for Perkins session. 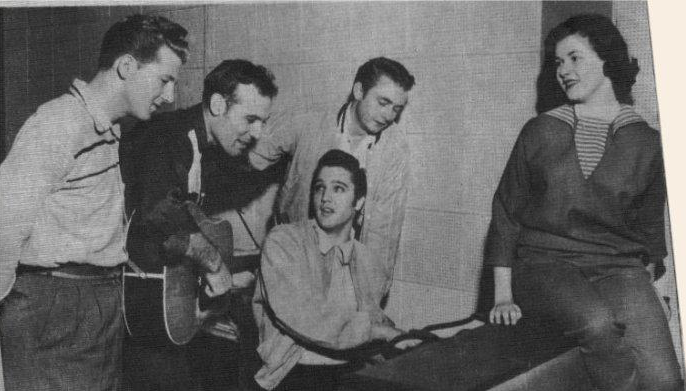 Former Sun Records artist and superstar Elvis Presley happened to drop by the studio that day and listened to the playback of the Perkins session in the control room. 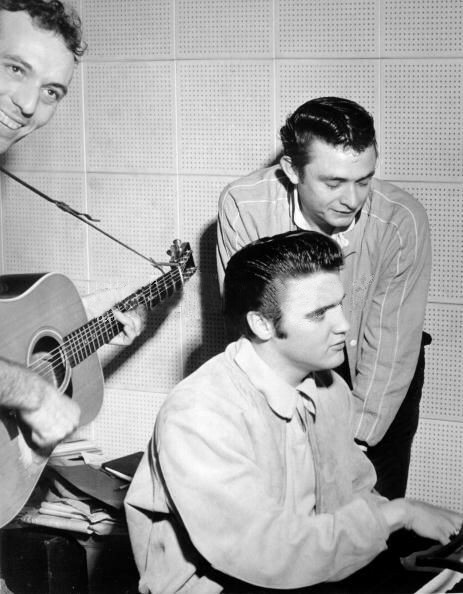 Presley, Perkins and Lewis starting jamming and a short time later they were joined by another artist Johnny Cash, who according to his autobiography was the first one in the studio that day. Luckily the engineer that day smartly decided to run tape on the whole session. 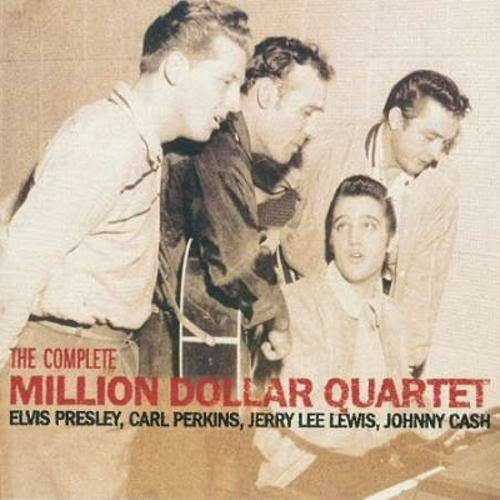 In 2006, the Million Dollar Quartet jam sessions were released on it’s 50th Anniversary. It contains 46 musical tracks, most of which are incomplete and interspersed with chatter between the guys. Cool fact is that the famous photo used for the album cover actually cropped out a girl Elvis was dating at the time. Here is the uncropped photo with Marilyn Evans sitting on the piano.